Every basketball player who is playing abroad either in Europe, China or Latin American understands how much emphasis there is on showing the right resume. For years in the business players and their representatives were sending out resumes written without any attention to detail in a simple word file. We’ve seen a lot of those and still many players are represented with that kind of documents. But those days are now over, you can entertain the possible teams that will need your services with better documents. They will show your career in a proper light, focusing on all of your biggest achievements and statistics. LowGravity can create a full personalized resume from scratch. Which will give you the much needed edge that everyone is looking for with this economy and business. 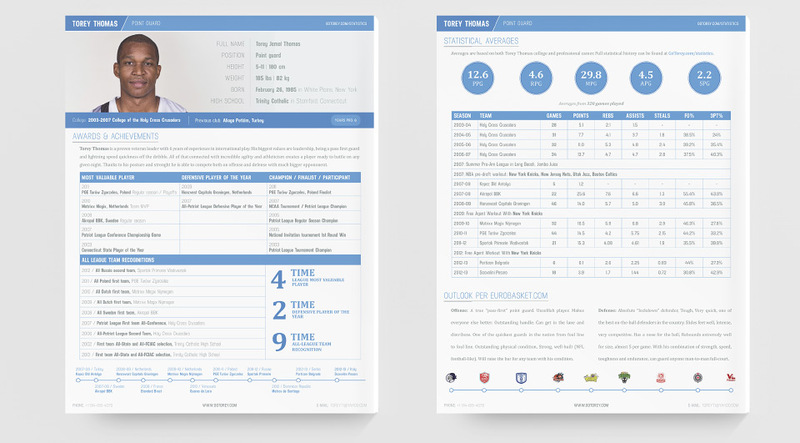 All of our resumes are prepared in both print and interactive versions. You will be able to send them either printed or in a .pdf format. 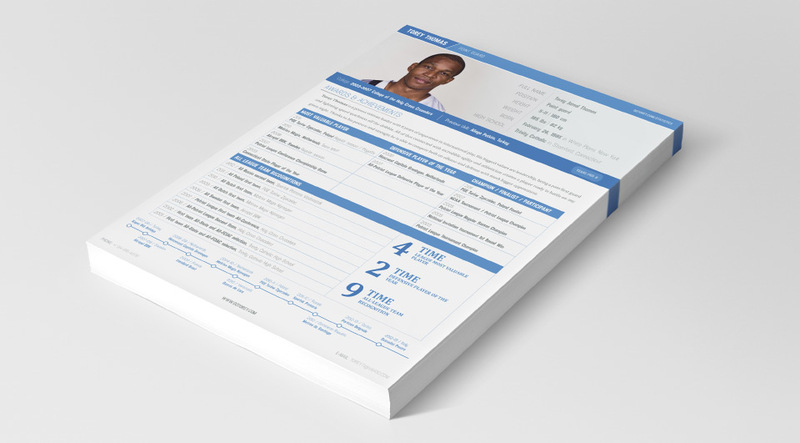 You can download an example resume that we’ve created for our long-time client, Torey Thomas just by clicking the button below. We also have highly discounted bundle deals for agencies interested in getting the designs done for a number of players. If you want to take control of your career and resume right now, contact us and get a quote on your personal project!